In the early 1950s, Abstract Expressionism dominated the New York City art scene. It was going to take a singular voice to emerge from this era with figurative works—and that voice was Alex Katz. Born in New York in 1927, Katz studied painting at the renowned Cooper Union and held his first solo exhibition in 1954. By the late 50s, his signature style—monochrome backgrounds framing a distinct style of portraiture—had been solidly established and anticipated Pop Art with dramatically cropped faces influenced by films, television, and advertising. By the mid 60s, he had also embarked on a prolific career in printmaking. Alex Katz remains a unique figure in American painting to this day, and his iconic style has been the subject of more than 200 solo exhibitions internationally as well as included in nearly 500 group exhibitions. His works are held in 100 public collections, including The Art Institute of Chicago, The Los Angeles County Museum of Art, The Metropolitan Museum of Art in New York, The Nationalgalerie in Berlin, and the Tate Gallery. 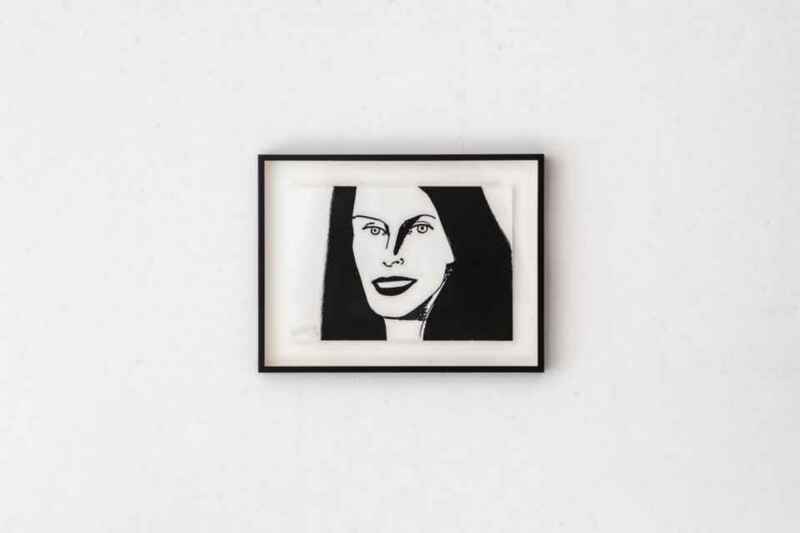 Unmistakably Alex Katz, the cropped framing and bold, gestural style of Christy Turlington (2010) depicts the supermodel of the same name in striking black and white and continues Katz’ work into a subject that he began in the 80s: fashion models in designer clothing. Turlington was one of the “big five” supermodels of the late 80s and early 90s and has been a prominent personality in New York where, in addition to her modeling, she has worked as a humanitarian activist and documentary filmmaker. One icon presented through the eyes of another, Christy Turlington is a significant portrait that represents the lively cultural exchange that lies at the heart of New York City—a scene that Katz has been a part of throughout is career. 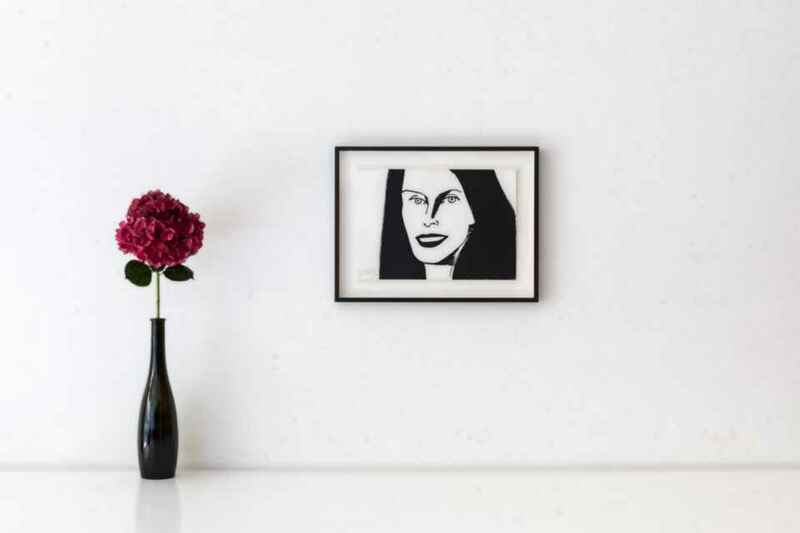 Christy Turlington was produced in a very limited run of 120 aquatint etchings. Signed and numbered, this edition displays many of Katz’ most recognizable themes and offers a very special opportunity to bring a piece by this important American painter into your collection. The framed version of this edition will be delivered in a handmade wooden frame finished with a black stain, unmatted, and in a total framed size of 34,5 cm x 45,2 cm. The additional price for this special framing service is 150 €. Museum glass can be arranged by request. Please contact us via email to discuss any special requirements.